Home » Bankruptcy » Do I Have to List Money I Owe to My Grandmother? Do I Have to List Money I Owe to My Grandmother? Posted by Sheila on Apr 29, 2015 in Bankruptcy | Comments Off on Do I Have to List Money I Owe to My Grandmother? When you are filing for bankruptcy, the rules are that you must list ALL debts to everyone. No exception. If you owe $1,000 (or any amount at all) to your mom, dad, aunt, uncle, grandparent, or your next-door neighbor, you are supposed to list it. Some clients ask: “How will the court know I owe this person?” Answer: They might not find out. But: They might. Sometimes a person to whom you owe money will find out about your bankruptcy and appear at your Meeting of Creditors. It can get very sticky when they ask why they weren’t listed in your bankruptcy, thinking they may be paid at least a portion of what you owe them. Failure to list ALL debts is a crime in bankruptcy and can cause your case to be dismissed. It can also cause the bankruptcy court to declare that debt (and others) as non-dischargeable, meaning you are stuck with them even if your other debts are discharged. Always list everyone to whom you owe money. 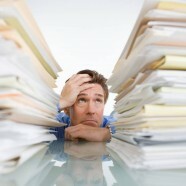 Be honest in your bankruptcy paperwork and the process will run much more smoothly. Your attorney can help you if she knows the complete picture. Call me at 770-631-2334 to set up a free consultation to discuss what’s right for your bankruptcy.